one of these pics is kristen and rob kissing….i just took the pic and made it alittle more deeper, and put more shadowing, and more detail and i took off the spots that were on rob.. I reallly really really really really really really really LIKE, LOVE!!!!!!!! ur books! but i am a slow reader. everyone thinks im a HUGE twilight series fan!!!!!!!!!!! like huge, i am a huge fan but since im only on the therd book (eclipes). does that mean i am not a HUGE fan or not! ………………..ps. i really really really really really LOVE!!!!!!!!!!!!!!!!!!!!!!!!!!!!!!!!!!!!!!!!!!!!!!!!!!!!!!!!!!!!!!!!! 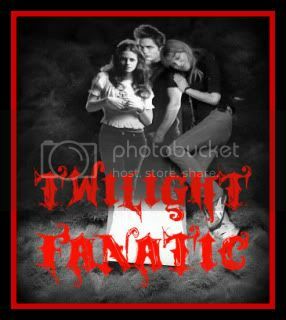 ur books but i wish i was the biggest twilight fan ever! do u no who is??? ahhhhhhhhhhhhhhhhhhhhhhhhhhhhhhh I LOVE UR BOOKS THEY LIKE TOTALLY RULE!!!!!!!!!!!!!!!!!!!!!!!!!!!!!!!!!!!!!!!!!!!!!!!!!!!!!!!!!!!!!!!!!!!!!!!!!!!!!!!!!!!!!!!!!!!!!!!!!!!!!!!!!!!!!!!!!!!!!!!!!!!!!!!!!!!!!!!!!!!!!!!!!!!!!!!!!!!!!!!!!!!!!!!!!!!!!!!!!!!!!!!!!!!!!!!!!!!!!!!!!!!!!!!!!!!!!!!!!!!!!!!!!!!!!!!!!!!!!!!!!!!!!!!!!!!!!!!!!!!!!!!!!!!!!!!!!!!!!!!!!!!!!!!!!!!!!!!!!!!!!!!!!!!!!!!!!!!!!!!!!!!!!!!!!!!!!!!!!!!!!!!!!!!!!!!!!!!!!!!!!!!!!!!!!!!!!!!!!!!!!!!!!!!!!!!!!!!!!!!!!!!!!!!!!!!!!!!!!!!!!!!!!!! i really need to know what Edward was feeling or doing, it would make the Twilight experience more intense!!! ps. u really should rite a boook in edwards point of veiw i ould read it in like 10 days! All of you guys rock man…and you guys are the best. My name is Yousra and I am from Morocco. it wasnt’ until I watched New Moon that I found that it was based on a book, then I decided to start from the beginning and read Twilight, One problem I faced is that we have none of your books in English in our country, it was all in French, and it’s not that I don’t like French language, but I just don’t think that the books will be as intense as in their original langauge. here’s the thing: I’m just not so into translation, it distorts the beauty of the style, and the depth of the meaning. anyway, I figured out while I was reading the saga online that it was actually available in a book store down town, so I went there and the prices were SHOCKING!! but that didin’t stop me of course, I had something I wanted and I was going to get it whatsoever, so I waited till the end of the month for my tiny, ro shall I say microscopic scholarship (45 dollars) and I went directly to the book store where I got the saga that cost me my whole scholarship, I didn’t care, I was over the moon for getting the books, even though they weren’t exactly Hachette’s but then, it was a trashy house of edition (Atom) but I didn’t care, i got the books. I spent that month flat broke but happy 🙂 it was so worth it! I must say i am A HUGEEE fan!!! I think twilight is awsum. I am a huge fan. I have read all the books. But i think stephenie meyer should carry on midnight sun!!! I like all other fans wish u would finish midnight sun. I loved the short second life of bree tanner. I am really upset that it was leaked and i refuse to read it unfinshed, even if you did post it to your site. I believe that it would never have been done unfinished if someone hadnt leaked it. Being as such I cant read it and have been waiting so long to hear edwards side. I also like everyone else wanna know what happens with rensme. I was so happy for jacob but im with belle I would have wanted to kill him. I know it wasnt his fault but still im a mom i get the feeling. Also I would like to tell you my favorite is Rosalie. I know most people didnt like her but I did so much so I named my daughter Rosalie. I wouldnt mind hearing her and e’s side they sounded like a hot couple. Thank you so much for writing such a wonderful story. Trust that I like many fans cant wait to get they’re hands on more of this story. Lets face every girl wants a love like Belles! Thank for your hard work and all your time. Please, please, please, please, please write your loyal fans at least an Epilogue, We are all dying here (metaphorically but still) to at least know how things worked out between Jacob and Renesmee, but most of all, we are dying to know what became of Edward, and Bella, Seeing as how the Volturi are still after them, and they won’t give up, I think most of your fans would really like to see the Volturi being defeated by the rest of the vampire world. I think your readers would also like to know what happens in Midnight Sun, I thought the parts you posted on your website were dazzlingly wonderful, your best work thus far. Edward’s point of view is just so insightful, but flawed, He sees himself as a monster, when in reality he is Bella’s “angel”, It just makes me so excited for if, and when you were to actually publish Midnight Sun. Please, please, please write the next book after breaking dawn. It would be cool to see another movie too. I read them over and over. I fell in love with Jacob Black and believe his story never got finished. It was left so open ended. After all the build up, he didn’t get an ending. I believe he deserves one and that is totally up to you. If you could just write a book about what happens next. i get it that twight ended with bella and eddy, but wqhy not come bacxk with bella’s daughter? Log in | 53 queries. 1.032 seconds.